The traditional access site is the femoral artery located at the top of each leg at the level of the groin. 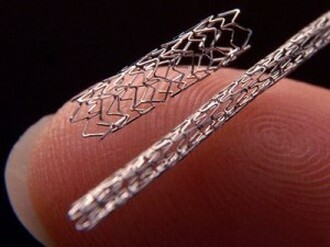 More recent techniques and equipment have allowed the procedure to be performed through a much smaller artery in the wrist (radial artery) which is more patient friendly as it allows early mobilisation and less activity restrictions. 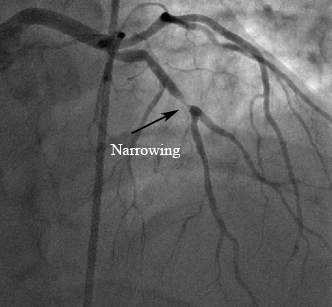 Cardiac catheterisation can help retrieve vital information about the coronary arteries with the use of x-ray imaging and special x-ray contrast injected through the catheter (coronary angiography). 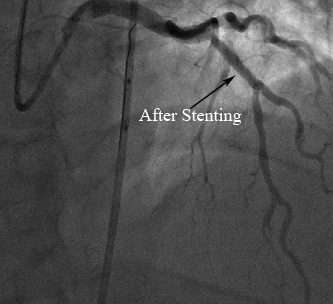 In this way a set of pictures of all coronary arteries are taken from various angles and possible narrowing and / or blockages are identified.